Adding “zero-calorie” foods to your weight loss program can help you lose weight quickly, without feeling so hungry. Most food contains calories, which your body uses as energy. To maintain your weight, you must burn as many calories in a day as you take in. The average adult male must consume about 2,500 calories daily to maintain his weight or consume 2000 calories daily to lose one pound per week, according to Healthline. The typical woman can maintain her weight with 2,000 calories daily or lose a pound in a week by eating 1,500 calories. 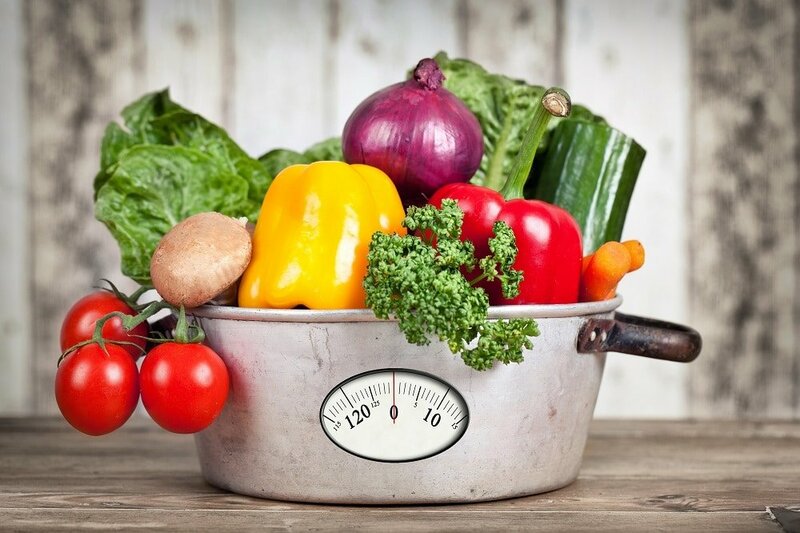 If you are like many dieters, you try to cut calories by reducing the quantity of high-calorie food you usually eat. This can cause you to feel hungry all of the time, though, and eventually leaves you feeling weak and listless. One of the best ways to lose weight without feeling hungry is to replace high-calorie food with zero-calorie food. The calories in food provide calories that your body uses to function. Your digestive tract even uses calories to digest food. Research shows that the digestion, absorption, and storage of foods burn about 10 to 15 percent of your energy intake. “Zero-calorie” food theoretically requires more energy to digest than they provide. Many of these foods contain ample amounts of water, so they provide very few calories. Most are high in nutrients, which mean you feel healthier, even though you are on a weight loss diet. Many of these foods are high in fiber, which means they are very filling. They are also compatible with nearly any weight loss program. There is only 1 calorie in a 4” strip of celery, according to CalorieKing, and entire cup of chopped celery contains a mere 14 calories. A cup of shredded or chopped iceberg or romaine lettuce contains 8 calories. Top a lettuce salad with lemon juice for a very low calorie meal. A cup of apples has only 57 calories, and provides flavor, vitamins and nutrients. Apples are also crunchy, which means you will burn plenty of calories as you chew them. Garlic contains only 4 calories per teaspoon, and a little garlic can provide a lot of flavor to other low-calorie foods on your weight loss program. Research shows that the active ingredient of garlic, allicin, can promote weight loss. A tablespoon of lemon adds only 4 calories with a dash of pizzazz. Lemon promotes a feeling of fullness, helps your body stay hydrated, boosts metabolism and supports weight loss. Add lemon to just about any dish, from salads to entrees. One raw apricot has only 17 calories and contains about 40 mg of potassium, a mineral that supports blood pressure, cardiovascular health, bone strength, and muscle strength, according to Medical News Today. Dried apricots are chewy, so you’ll burn lots of calories eating them. An entire cup of diced broccoli has 30 calories, but it also has 9 percent of your recommended daily dietary fiber, which helps you feel fuller after eating only a small amount of food. A cup of raw cauliflower has 27 calories, 11 percent of the recommended daily dietary fiber. Cauliflower is a great addition to salads, and can be used as a zero-calorie replacement for rice, pasta and potatoes. A cup of sliced cucumber has only 16 calories – peel the cucumbers prior to slicing and the calorie count drops to 8 calories per cup. There is a mere 4 calories in a cup of chopped watercress. A small 14-oz grapefruit has a zingy 64 calories and about 9 percent of the recommended daily dietary fiber. You get only about 44 calories from eating an entire cup of boiled snap or string green beans. You get about 1 calorie per raspberry, and about 64 calories from a cup of raw raspberries. There is about 2 calories in every small strawberry, and about 53 calories in every cup of sliced strawberries. One cup of strawberries contains 160 percent of the recommended daily quantity of vitamin C.
A cup of spinach contains about 7 calories. Spinach contains nutrients and antioxidants that benefit eye health, reduce oxidative stress, help prevent cancer and reduce your blood pressure. For more information about “zero-calorie” foods, or to discover new ways to get the most out of your weight loss program, make an appointment with Dr. Urshan Health & Weight Loss Center in Tampa, FL.